The Royal Charter and By-laws and the Petition are legally binding documents that govern how the Academy operates, and provide a legal framework for our activities. 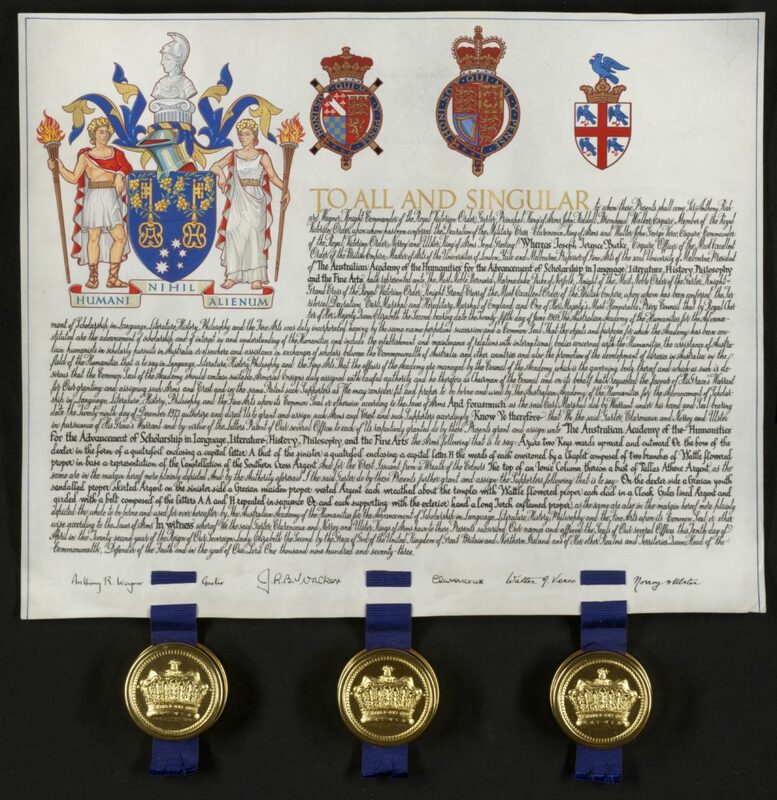 The Royal Charter specifies the objectives and purpose of the Academy, granted by Her Majesty Queen Elizabeth II, and incorporates the Australian Academy of the Humanities. The By-laws are the rules that govern the day-to-day business of the Academy, including the electoral procedures for Fellows. They can only be altered with the assent of the Governor-General. The Petition is the official request to Queen Elizabeth II to establish the Australian Academy of the Humanities from the Australian Humanities Research Council. In recognition of the historical value of these documents, the Petition and Royal Charter are now on permanent loan to the National Library of Australia where they are held under ideal preservation conditions.